It’s time to turn your followers into tippers and we’ve got just the tool for you! 6. Look for the Tip tab to automatically appear in your FC profile. 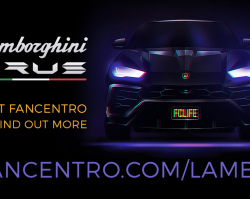 You can also promote a direct link to your Tip Page on social media – http://fancentro.com/YOURPROFILENAME/tips. There’s no need for a fan to be registered, but that doesn’t mean they can’t appreciate your work! So make it rain! 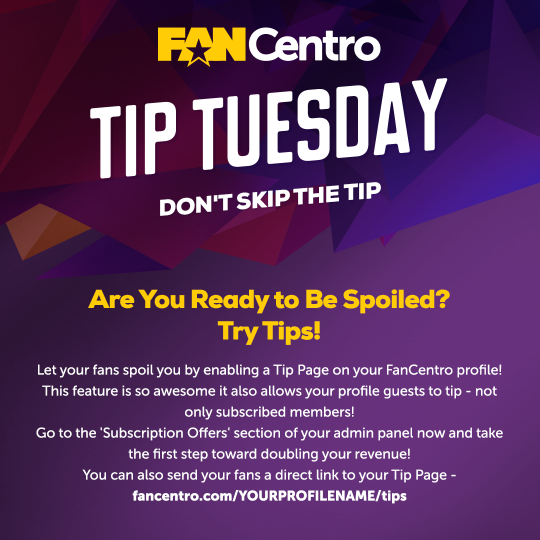 Enable tips today and let your fans know you’re ready to be spoiled. Before you know it, your followers will turn into dollars!